"For a fresh way to serve broccoli, try this Cold Sesame Broccoli Salad. You can easily prepare it in just minutes. And it is so tasty that even the kids will eat it. Take this green salad along on a picnic, serve it with fish for a light dinner, or enjoy it as a healthy side dish for Shabbat lunch." - Giora Shimoni. Since this salad is meant to be enjoyed cold, it's ideal for packed lunches and picnics. Pair it with other brown-baggables like a Bagel with Lox, Boursin & Avocado, or a thermos of a chilled soba noodle salad made either with or without salmon. It would also be a great accompaniment to sweet ginger tofu served with rainbow slaw and forbidden rice salad with apricots and hazelnuts. In a large pot, bring water to a rapid boil. Add florets and stem rounds. Cover and boil for 1 to 2 minutes, until the broccoli is bright green. 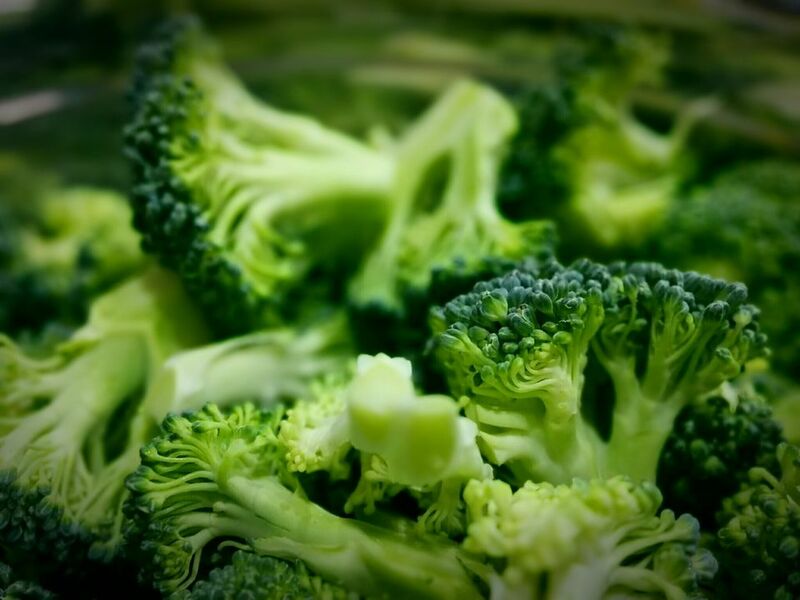 Transfer the broccoli to a large colander, drain, and rinse under cold running water to stop the cooking process. Place the broccoli in a large serving bowl and set aside. In a small bowl, mix together the soy sauce, sesame oil, vinegar, sugar, and salt. Pour over the cooled broccoli. Place the sesame seeds in a dry skillet set over medium heat. Toast the seeds, shaking the pan regularly, until the seeds are just slightly browned. Add the toasted sesame seeds to the broccoli salad and toss gently.